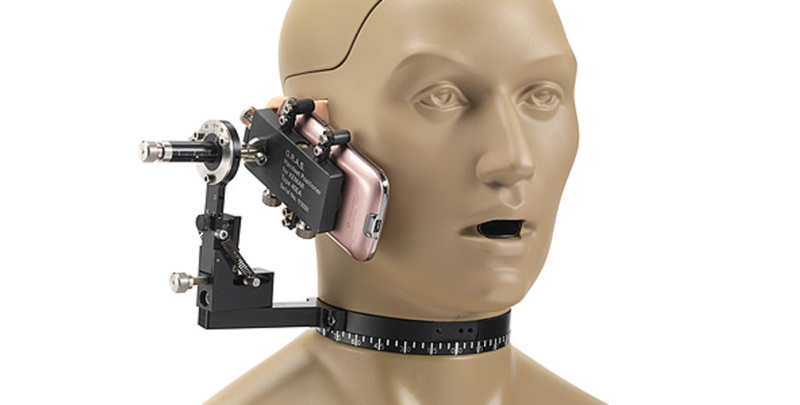 The 45BC-4 is a KEMAR Head & Torso with Mouth Simulator for Telephone Test, with prepolarized ear simulator and large straight pinnae. A special feature of this configuration is the 45EA Handset Postitioning System. 45BC-4 is delivered fully configured, individually calibrated and ready for use. In addition to a system calibration certificate, a USB flash memory with simulation data is included. The main configuration specific components of the 45BC-4 are the 44AA Mouth Simulator, the RA0045-S1 Ear Simulator According to 60318-4, the KB1065/KB1066 Large Straight Pinnae and the 45EA Handset Positioning System. Read more about the RA0045-S1 Ear Simulator.